Since 1988, Artistic Sound has been the premier source for home entertainment systems in Aspen and the Roaring Fork Valley. We're passionate about what we do. As experts on the latest architectural electronics and technology, we're able to customize a system that will work best for you and will be easy to use. From an entry-level audio system to a state-of-the-art home theater, to full home automation installation; no matter what your budget. 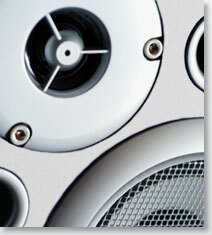 At Artistic Sound, your complete satisfaction is our ultimate goal.